With MTP (Module Type Package) and NOA (Namur Open Architecture), Namur has launched important game changers in process automation. While the complexity of the topics in the context of the digitization challenges continues to increase, the users need simple solutions. Are sensors the key or the driver for successful digitization? 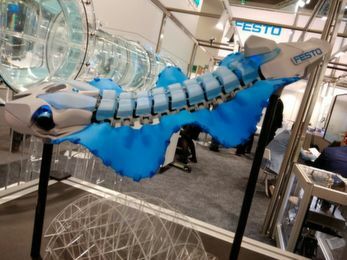 This was discussed under the motto “Field Instruments Supporting Digital Transformation” at the annual users meeting of process automation technology. Bad Neuenahr/Germany — Once again full ranks at this year's Namur main meeting. Once again, around 650 participants followed the call for an annual get-together and exchange of ideas, concepts and, above all, practical implementation on the subject of 'Digital Transformation'. “We don't really want to measure pressures or temperatures, but mass flows and concentrations. For this we need intelligent sensors,” said Dr. Wilhelm Otten of Evonik, recalling the actual task in everyday chemistry. Otten, who handed over the Namur chairmanship to Bayer manager Dr. Felix Hanisch after the Annual Stockholders' Meeting, believes that Namur is well positioned for the future. But the challenges and tasks of representing the interests of users of process automation technologies will not diminish. On the contrary, the range of topics that concern end users will tend to increase and broaden. The topics that were discussed this year in Bad Neuenahr were correspondingly diverse. Be it 5G as an enabler IIoT in the process industry, the challenges and opportunities of Namur Open Architecture (NOA), modularization in automation under the keyword Module Type Package (MTP) or the incredible range of innovative sensor technologies. 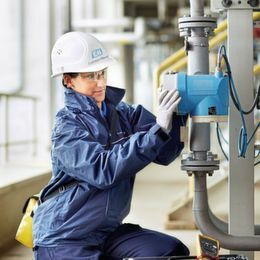 This year's sponsor Endress+Hauser, who looks back on 65 years of experience in the field of measurement and analysis technology, was available for the latter topic. In his introductory sponsor keynote, Matthias Altendorf, CEO of the Endress+Hauser (E+H) Group, also promised: “We help our customers in the process industry to work more productively and to leverage the potential of digitization.” This requires intelligent process analysis technology (PAT), such as optical analysis methods like Raman, NIR and TDL spectrometry. But not only that: At E+H, tools for the correct selection and configuration of measuring instruments are the first to ensure rational engineering processes or consistent data quality. “Only with consistent measured values and efficient processes from the laboratory through product and process development to production operation and quality assurance is a company in a position to discover the much-vaunted benefits of digitization for itself,” said Altendorf with conviction. All this helps to make production sites fit for the world market. 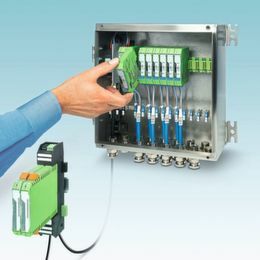 The People for Process Automation, as they call themselves at E+H, want to integrate smart field devices as a safe component of OT/IT, reduce interfaces so that fewer errors are made, make laboratory measurement technology suitable for processes and replace the human senses with new and simplified sensor technology. In its sponsor lecture, the company will therefore also be presenting numerous examples of what is already possible today. From preventive maintenance using heartbeat technology to self-calibrating temperature measurement or the use of an Advance PAT system with Raman spectroscopy in urea synthesis. Frank Grümbel from Lanxess and Ulrich Schünemann, BASF, described in a joint presentation that the path from brownfield to smart sensor technology, especially in PAT systems, can sometimes be very complicated. Grümbel predicted that the range in the process industry for IIoT or industry 4.0 in the reality check may well be 0.4 in the first place. Most operators are probably somewhere in between. A core statement that gets stuck: complexity has to be encapsulated.